The next 'vs.' event is happening! After 'Beatles vs. Stones' and 'Blur vs. Oasis' we now decided to do a punk/postpunk show: the almighty battle between London and Manchester, between pro- and contra-Brexit, between cockney and geordie. 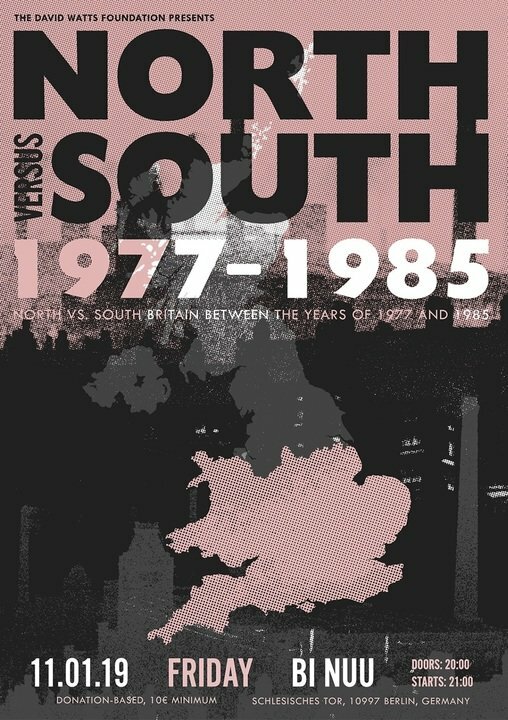 Or as we put it - and to extend the bands to choose from - NORTH vs. SOUTH Britain between the years 1977 and 1985! AFTERWARDS we will dance the night away with some fantastic DJs spinning Punk, PostPunk as well as music that has influenced the bands and other covers all night long. DJs: What Difference Does It Make! We expect a minimum donation of 10€ at the door.